Part of my Texas Christmas was spent in my hometown of Falfurrias. While I was there, I went hunting...A LOT...like everyday. My dad is an expert huntsman. 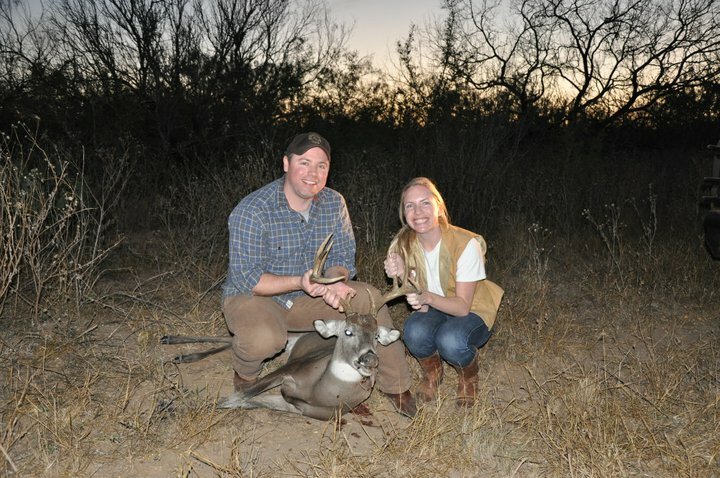 I actually want him to start his own hunting show and call it "Bucks From Trucks." This is because we do all of our hunting right from the inside of his truck. 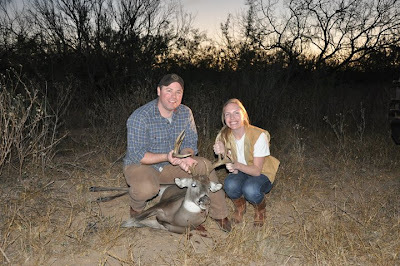 My boyfriend Josh got a first hand experience of what it is like to hunt in South Texas and with Dr. Mike too. We started on the evening that Josh first arrived. 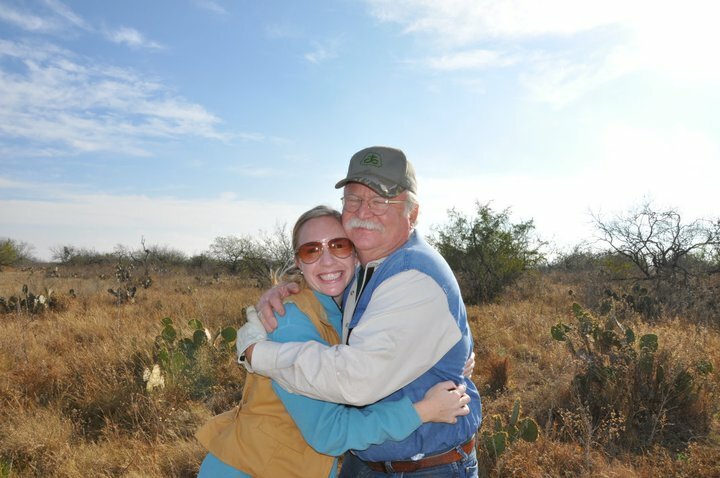 The second we got to my house, my dad loaded us up in his truck and we headed out to the back part of the ranch. 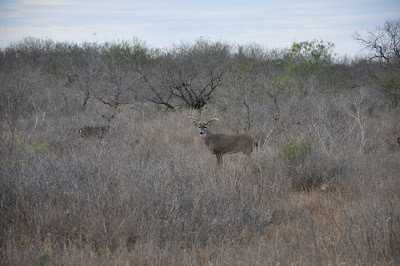 Although I have shot three bucks in my lifetime on this hunting trip I was only shooting things with my camera. Now some people might not agree with this practice, but we feed our deer corn. Not only does this keep them healthier, but it does help us find them...hey its a sport...and this is one of our plays...don't judge. 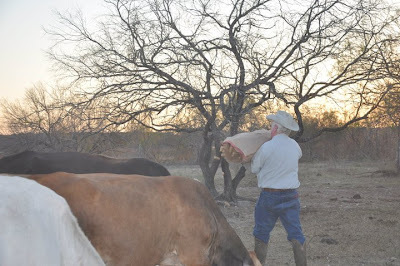 Anyway, we also feed our cows cubes whenever we head out into the brush so that they stay out of the way and don't accidentally get shot. Cubes are like candy to cows. Seriously they go nuts! The second they hear my dad's truck come down the road they are on us like a fat kid on cake. "FEED ME" MOOOOOOOO!!!!! Below is a picture of my dad, or what I like to call him "The Candy Man", throwing out the cubes. 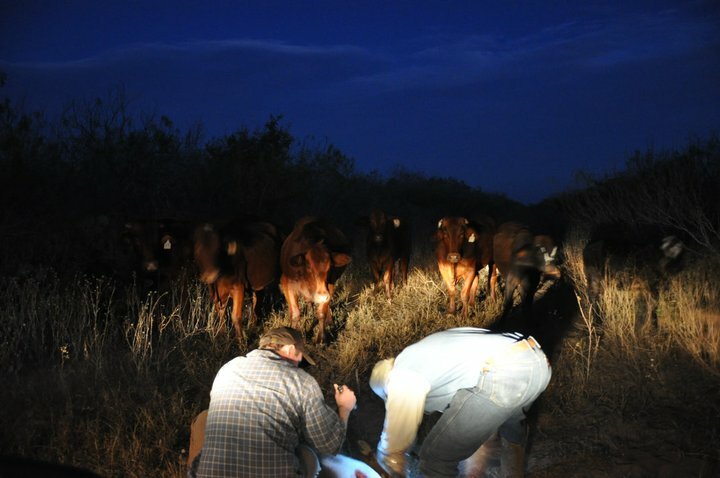 Notice how the cows go nuts. The back part of our ranch is seriously swarming with deer. My dad told Josh that he had been scouting a specific buck for him, and sure enough, fifteen minutes later, Josh had got us a big one! I am looking forward some jerky, sausage, and steak! Yummy. Good Shot Baby, and Good Guiding Daddy! *Another side note, we eat everything we kill...it is all part of the circle of life. So I am sorry if you are a vegetarian. I am an animal lover and vegetable lover, but that doesn't keep me from eating them. Like I said, my dad is the "Candy Man"! 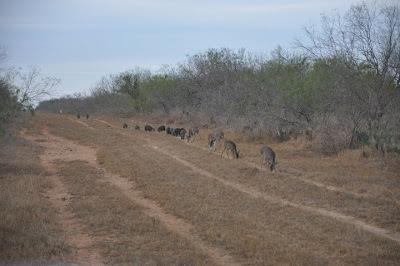 Look at all of the wildlife line up for their treats...hogs, javalinas, and deer. 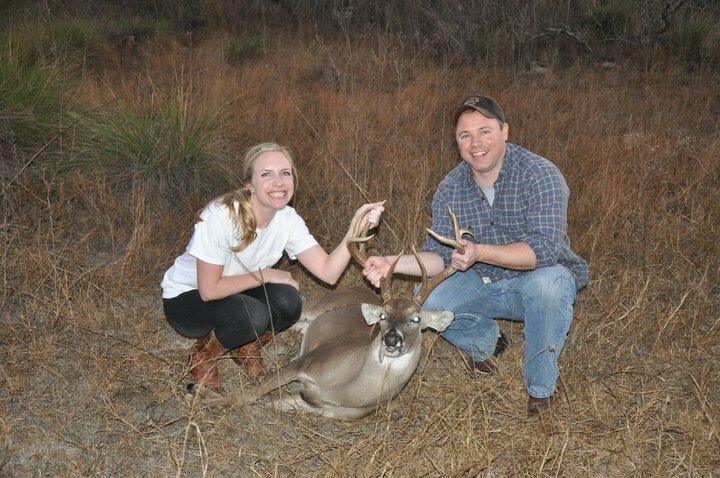 Below is a picture of my daddy's "Dream Buck." 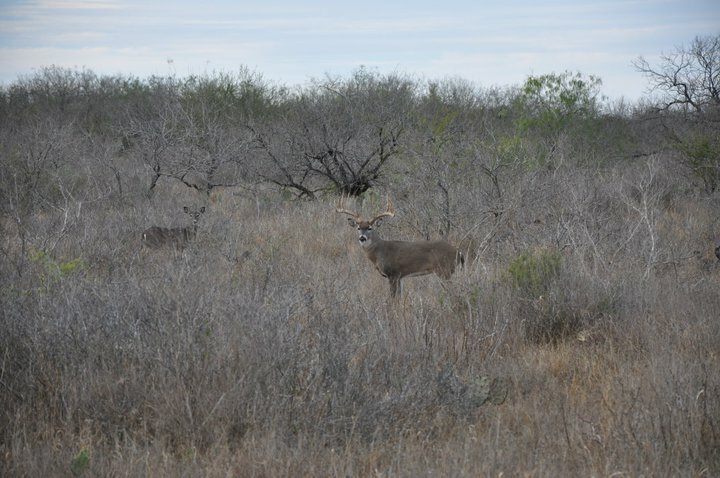 It is the most beautiful buck (he also may be the dumbest) I have ever seen. We did not shoot him...but boy did we admire him. Here are a few more deer and the South Texas skyline...gorgeous! Ouch! 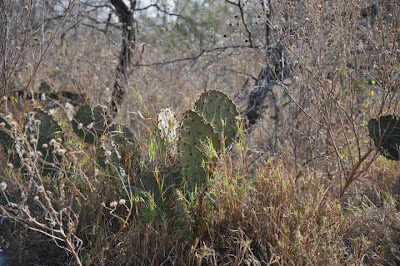 Be careful with that Prickly Pear Cactus! 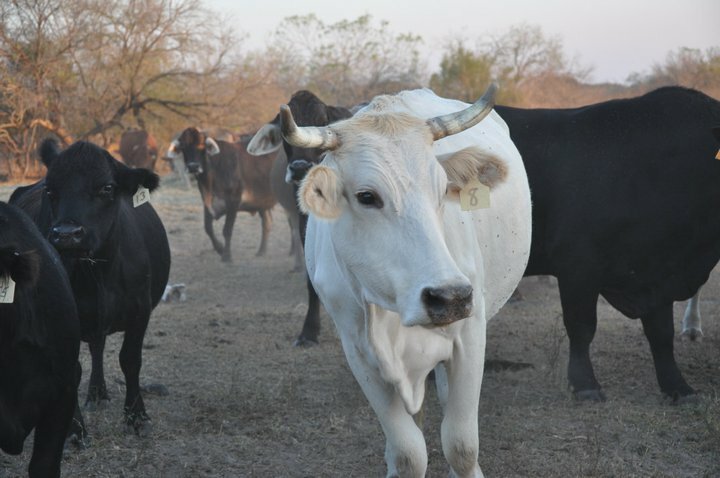 My dad's COWS!!!! Haha they were looking for The Candy Man! It was a very successful hunting trip for Josh and my dad. Linda, Viva (our dog), and I had fun sitting in the back, looking at the scenery, and laughing at things my dad said. 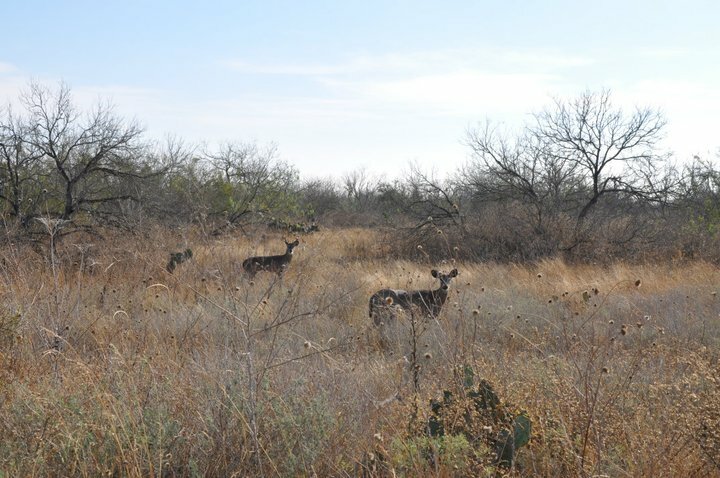 South Texas is beautiful so if you have never been I highly suggest it, and if you would like to go hunting, call my Daddy. Who knows? 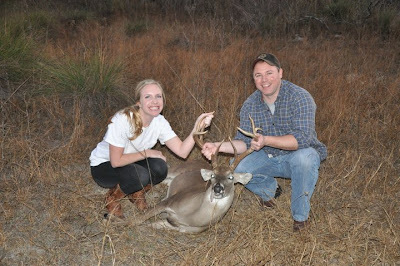 By then you just might be on the show "Bucks From Trucks!" I love this post! Your pics are great. I love the one of you and your dad. What a great background...makes me miss home. South Texas is my favorite place to be.